Antenova Ltd, a manufacturer of antennas and RF antenna modules, is launching a brand new compact, all-in-one active GNSS antenna, part number M20047-1, at the CES show in Las Vegas. It adds another option to the company’s existing range of positioning antennas and modules. 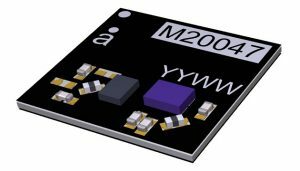 The M20047-1 operates in the 1559-1609 MHz bands and offers designers a useful, space-saving option for small tracking devices. Its key features are the active components, the built-in LNA, and filter, which act to boost the signal to the GNSS processor in environments where there is a restricted view of the sky and line-of-sight to the horizon is difficult. With the LNA and filtering already built into the antenna, designers will not need to add them and can save space on their PCB. The M20047-1 is a very low profile rigid FR4 antenna measuring 7.0 x 7.0 x 1.1mm, making it suitable for use in small tracking devices. It is suitable for tracking all kinds of moving objects, telematics and wearable sports devices. The M20047-1 antenna is named “Active Sinica” and is an alternative to Antenova’s existing “Sinica” antenna, part no SR4G008, which is marketed for accurate positioning. Antenova’s antennas are specifically designed for easy integration, however, the company provides full engineering support to help customers with all aspects of antenna testing, tuning, and integration.